Convective clearance is really interesting and has some tantalizing results but nephrology has been burned too often by big sounding ideas that have come back to bite us. We are still licking our collective wounds from increased eKt/V, normalization of hemoglobin and every angle of mineral bone metabolism. In all of these areas preliminary, low quality data propelled us forward to expensive drugs, changes in procedures and alternative philosophy. In order for us to rewrite the rules of ESRD, we will need to see clean, repeatable wins in randomized controlled trials. For now convective clearance can’t deliver the mail but its time maybe coming. 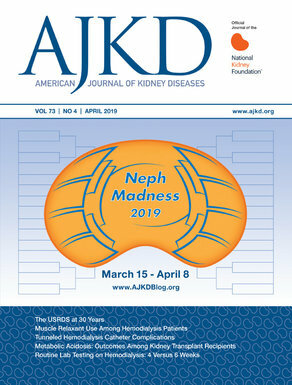 It seems that the time is right for nephrology to start paying attention to the very last few nephrons, even after patients start dialysis. We need to start studying the effect of RRF and the interventions that we can preserve it. RRF feels like it is in his infancy but it also feels like the sort of thing that could turn on a dime and be a critical factor in nephrology. On the other hand, the buttonhole technique is having an off year. This is still an important technique that will likely have a role in the future of dialysis. In the United States we are witnessing the collapse of peritoneal dialysis as a major modality in the US. Urgent start PD is a way to reverse this. PD might be the best way for patients that need to start dialysis urgently. Fistula first, like buttonhole technique had a bad year. As nephrology tries to become more patient centered, we will need to change from thinking fistula first to patient first and answer the question, what is best for our patient and not blindly follow protocol. Figuring out if PD or HD offer a survival benefit should be a top priority of nephrology. If PD offers worse survival, then initiatives like Urgent start PD starts to look foolish. DreamRCT AKI has been done on multiple occasions with usually no clear advantage for either modality. We may be getting to the point that we begin to realize that the reason there is no detected difference is that there is no difference.